They uncover potential risks associated with taking this popular herbal. Hepatotoxicity associated with kava in 26 patients was reassessed. A quantitative causality assessment was used to apply a scale of objective probability scoring. More about using the quantitative causality assessment is discussed later. In 16 patients it was not possible to link kava to liver toxicity, because the patients hadn’t taken kava or other drugs complicated the picture. 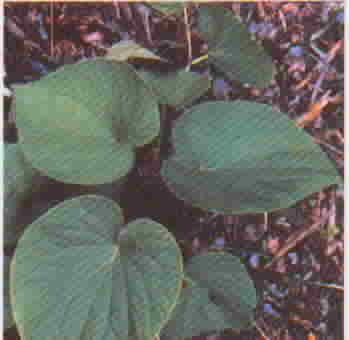 In 2 cases the causality assessment scores were too low to link kava to liver toxicity. Only 1 out of the remaining 8 patients who took kava at the recommended daily dose (not more than 120 mg kavapyrones) for the recommended duration (not longer than 3 months) experienced liver injury that was probably due to kava. Among the 6 remaining patients, liver toxicity was associated with a kava overdose and/or increased duration of kava treatment in 3 patients. The rest took kava with the another drug(s). Earlier studies support a link between kava and liver toxicity. One concluded, â€œIn predisposed patients, mitochondrial toxicity of kava extract may explain hepatic adverse reactions of this drug.â€ Another reported an increase in liver enzymes that reflects liver toxicity. Now, this study adds that when kava is taken as recommended, liver toxicity is rare. On the other hand, patients who overdose on kava, take it for prolonged periods, or take it with certain other drugs might be at increased risk of hepatotoxicity. A few words about quantitative causality assessment. Most case reports of drug toxicity concern suspected adverse drug reactions. They are rarely specific for the drug, diagnostic tests are usually absent, and readministering the suspected drug is rarely ethically justified. Many systems have been developed to solve this problem, but none have produced a precise and reliable results. Causality assessment is the latest approach to this problem. This entry was posted on Friday, November 21st, 2008 at 12:28 AM	and is filed under Kava, Liver Disease. You can follow any responses to this entry through the RSS 2.0 feed. You can leave a response, or trackback from your own site.